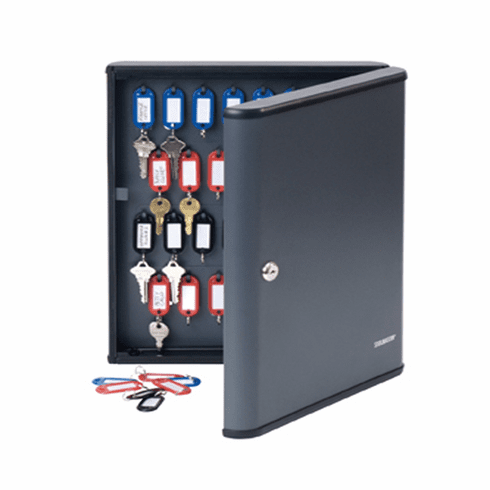 Use the Locking Key Cabinet to store vehicle keys safely. Constructed of heavy-gauge steel, our key control cabinet offers durability and peace of mind. The cabinet can be bolted to the wall for added security.